And I’m slightly removed from the smog of L.A. The “25: 35 Short List” – these are the few establishments that we feel have a earned a special place of distinction in Los Angeles and to which we give our highest recommendation (they are also bolded and marked by “*” before the business name). The rest of our LA recommendations are listed below it. *Huckleberry Cafe – One of our favorite spots in the L.A. area, this Santa Monica breakfast and pastry shop is a great place to go for a weekend brunch. 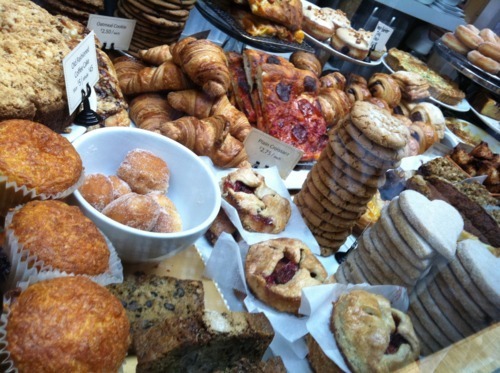 Take a spot in the back of the line, grab a menu and take a peek at their wonderful pastries while you wait. We loved the fried egg sandwich with arugula, aioli, and gruyere cheese as well as the PB & Nutella on their amazingly soft brioche bread. *Gjelina – This hot spot in Venice is known for it’s pizzas, it’s great interior, and the lines which form around evening time. The interior is fantastic and looks like an upscale version of Burger Up (Nashville) with reclaimed wood walls and hanging lightbulbs. 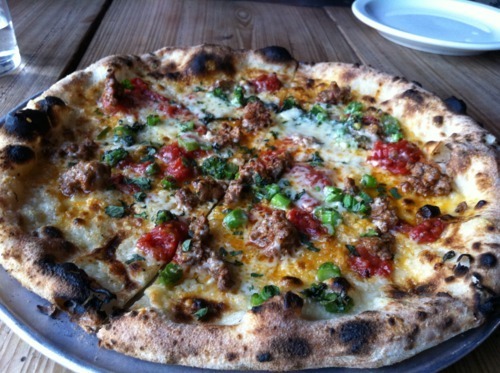 The pizzas are also great and are a thinner and crisper version of the City House (Nashville) wood fire oven pizzas. We loved their Kumamoto oysters, lamb sausage pizza, and eggplant pizza. They also serve a full dinner menu in addition to the pizzas. 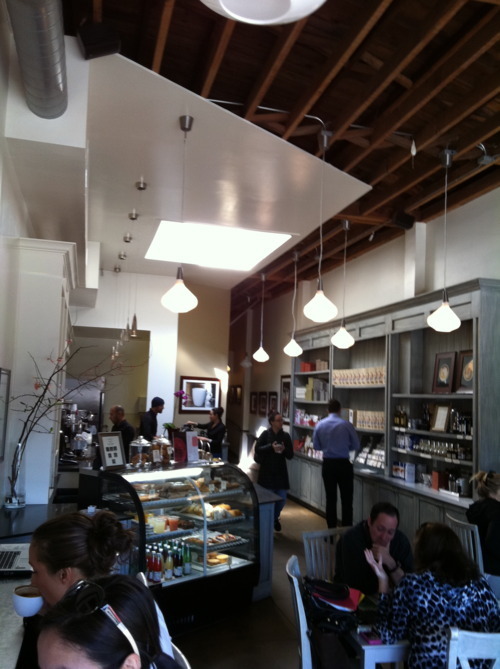 Caffe Luxxe – Also on Montana Ave., this coffee shop is a nice place to stop in for an espresso or latte. Storefront windows provide a lot of ambient light. They take their foam art seriously and have won local awards for their creative designs. 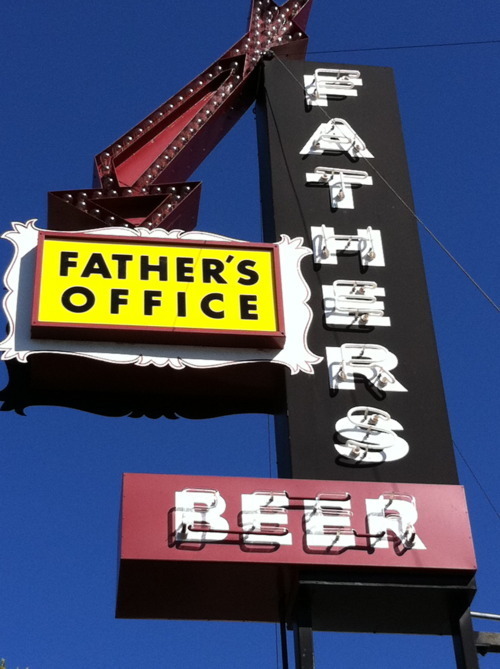 Father’s Office – Brewpub that’s known as much for it’s signature burger as it is for its excellent selection of beers on tap. Their fries are also great. Give a Californian beer a try, we enjoyed the Craftsman Hefeweizen and Bruery Mischief. The Tasting Kitchen – Beautiful interiors, creative menu and wonderful bar with fantastic cocktails in this Portland-esque gem. Recommend the Braveheart (scotch with ginger/honey) and In Tandem (Dimmi with St. Germain and lemon juice). Primitivo Wine Bistro – Nice wine bar and tapas restaurant. Both cold and hot tapas are offered and the wine list is quite extensive (including the 2005 Clio from Spain). Their braised chipotle BBQ short ribs were delicious. 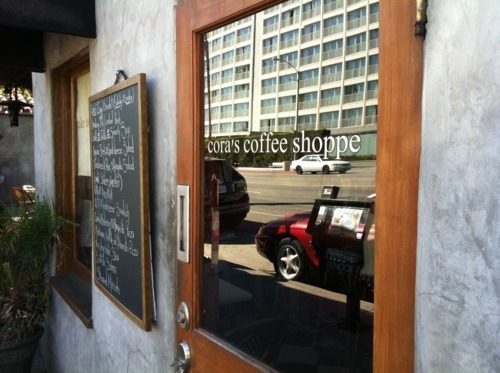 Cora’s Coffee Shop – Great coffee shop/restaurant serving breakfast and lunch with an outside patio for dining near Venice Beach. Eclectic menu with organic ingredients sourced from the Santa Monica local farmer’s market. The patio is beautiful and a great place to start a weekend morning. Osteria Mozza – Amazing Italian restaurant from a collaboration between Mario Batali and Nancy Silverton. Excellent service, handsome interiors and pasta cooked to perfection. We loved the mozzarella with proscuitto, the garganelli with ragu bolognese, and rabbit con salsiccia. There is also a more casual Pizzeria Mozza next door. The Ivy – Hotspot for celebrities to come for hearty American fare or a drink and sit outside behind the white picket fence on Robertson Blvd. A good place to come for a cocktail or glass of champagne and possibly spot a star. Magnolia Bakery – This is the only other site in the U.S. for this NYC bakery. All of their cakes, pies and cupcakes looked great but we were told by some friends to give their banana pudding a try…..we did….it was perfect. Doughboys Cafe & Bakery – This place’s claim to fame is having their Red Velvet Cake named by Oprah Winfrey as having one of the best cakes in the country in 2006. 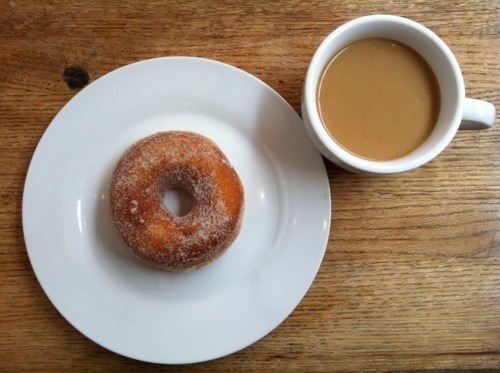 Since then it closed, then re-opened under new management serving all day breakfast, soups, sandwiches, and pastries. We went for the Red Velvet Cake and its rich and moist taste lived up to the hype.